An active performer, GUO XIAOJIN has performed in different provinces of China and France during her schooling years from 2001 to 2007, when she was appointed Principal Player of the erhu section in the Shenzhen Art School Youth Chinese Orchestra. Her skills in the instrument led her to perform in the 2005 Shenzhen TV Mid-Autumn Festival erhu performances. In 2005, she won two Golden Awards for the erhu category (Traditional Instrument Youth Division) as well as the instrumental ensemble category in the Macao Youth Arts Competition. In 2007, she joined the Singapore Raffles Music College and became the Chinese orchestra’s erhu Principal player. With the SRMC Chinese orchestra, Xiaojin has helped organize and lead multiple musical concerts and large-scale cultural activities, such as the 2008 school celebrations, which were held at the Victoria Hall. Xiaojin consequently became zhonghu Principal player in the Singapore Youth Chinese Orchestra from 2008 to 2009 as well. 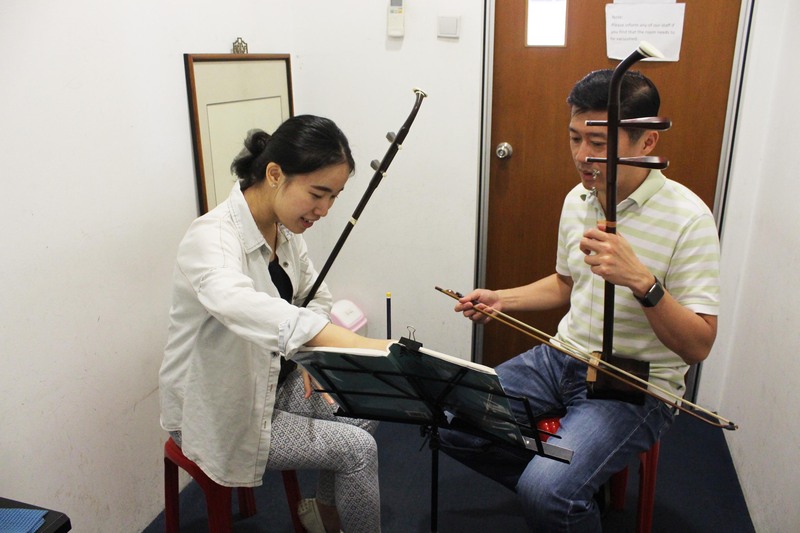 A dedicated educator, she has also been assisting in conducting training programs for various Chinese orchestras in preparation for the Singapore Youth Festival competitions since 2006, helping them win a series of awards. In 2009, Xiaojin graduated from the Singapore Raffles Music College with an Advanced Diploma in erhu. She was awarded the Certificate of Merit in the 2010 Singapore National Chinese Music Competition (Erhu Open Category). Interested to try it? Take a one time trial lesson us!